Like comics? You'll love this blog! Old Comics you Want to See - UPDATED! 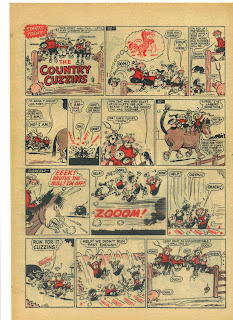 I have recently received in the post a new batch of Beano comics, including 2 VG 1956 beano's (I love you Phil Comics!) 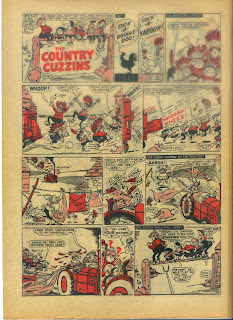 and a near inclusive lot of Beano's from January to June 1967 (With some fab covers and 2 original 4 page adverts for Bimbo and The Beezer (No's 1277 and 1280 respectively). For specific Issue numbers visit the updated "Old Comics you Want to See" post. 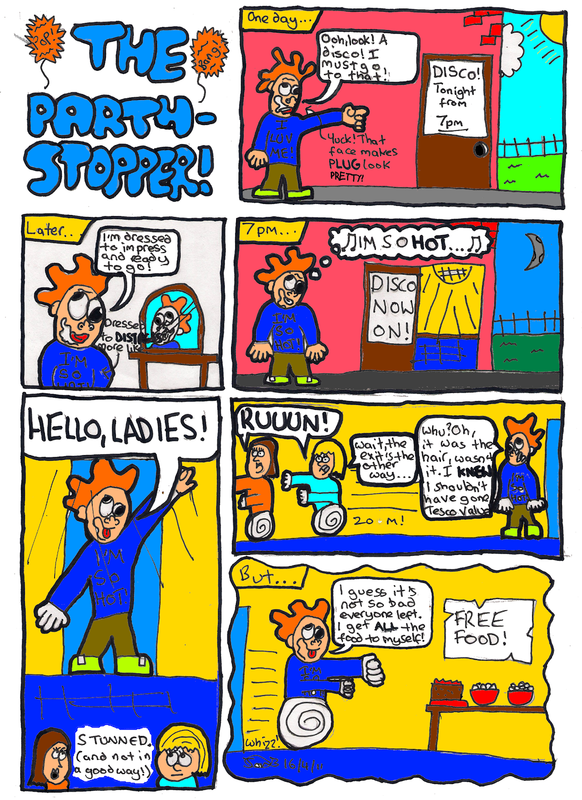 The strip finished in issue 1138, to be replaced by the long-running strip Billy Whizz in issue 1139. 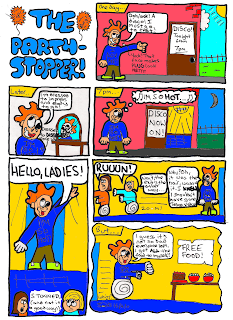 Want a strip you love up on this blog? Well, now you can! Look through my collection of comics here and post a comment telling me which strip/issue you would like me to put up. Simples! Old comics you want to see! I promised I'd show some examples of my collection, and I have failed to meet that promise as of yet. But fear not, now I shall give you the chance to choose what i put up. I will now give a list of what comics I have. They are practically all beano's but there are a few others too. Read through the list, and if I have what you want post a comment saying what you would like to see. you can be as specific as you like, anything from "Something from the 60's, please" to "could you put up a 1953 Roger for me, please?" If there is a certain strip you want but you're unsure of when it's from, just tell me the name of the strip and I'll see if i have an example of it. Issue 3333 to the current issue (3589) inclusive. Various Xtreme issues from 2007 to 2010, around 30 of them, mainly early ones. Most Dandys as of 30/10 2010. It's been a while, and I'm back. And I'm back with a bloody long post too! Sorry for the giant gap since I last posted, other things have taken over priority, so the blog has had to take a back seat. I've been recently thinking what would happen if the beano and the dandy were forced to merge, and what I would like to happen. So, here is my contents of a perfect "The Beano and Dandy". Brace yourself, it's long! You just couldn't have anyone else, could you? I think it could have a big picture of them relating to the story, much like in the current beano. Then underneath there could be a banner telling you what's inside, much like the one the dandy has at the moment. Art by the current artists Jimmy Hansen, Nigel Parkinson and Barry Appleby, with the odd Tom Paterson strip, just because. Taken from the current dandy, this will give a contents, giant introduction from a character from the comic and maybe a Jamie Smart hide and seek puzzle. After a number of issues they could also include collector's corner and who's reading yours from the current beano, as there would have been enough issues for someone to have some form of a collection. Both of these are iconic strips yet work best in under a page, so what better way to use them than putting them on page 3 as half page strips, eh? Biffo could be drawn by Andy Fanton and Korky could be drawn by his current artist Phil Corbett. It would be eye caching and the first page readers would see when they look inside the comic. You just need one, and it would be even better if it was made into some fun, comic strip form drawn by Barry Appleby. The beano is lacking an adventure story, and the best and most familiar to readers is Billy the Cat. It should be adventurous but not so much so that younger readers fail to understand it. Drawn by Steve Beckett. 2) Clown Wars - As much as I like it as a full page strip, I think it works better as a short. Everthing else stays the same. 4) Big Eggo - I think it would work as a short, and I think without a character from the first issue it can't really call itself the beano. Art by David Sutherland. Shorts are really good in comics. They can give new artists a place to start, and then if the ed. thinks they're good enough they could have a full page strip. Also, a lot of strips work best as just 2 or 3 frames. Shorts are an essential ingredient in comics! With more interesting storylines the numbskulls could be really good! Everthing else stays the same. 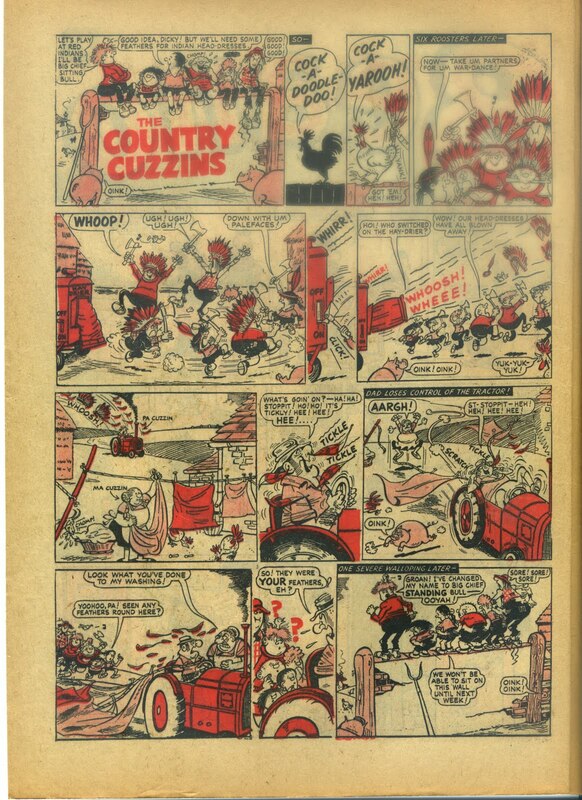 Just as it is now but with some slightly better storylines as the bash street kids can get rather boring at times. With the beano dominating the front and back covers, the dandy just had to have the centre spread. Maybe each week there could be one beano character and one dandy character battling it out, or just as it is now. Drawn by Jamie Smart. Yes, I know she has most recently been in the dandy, but who else could you use?! Art by Barry Appleby. Otherwise, it could be pretty much the same as it was. This will have a contents on the top half and on the bottom half will have a "did you know?" page which would focus on a topic such as "...that Berly the Peryl was in 2 different comics?" ect. Just as they were would be nice, but realisticly, they need a little modernising. Art by Nigel Parkinson. 2) Freddie Fear - Son of a Witch: I think this would work as a short. With some new ghoul or monster every time, each with a hidden pun! Art still Dave Eastbury. 3) Grampire: Same as before. 4) Big Eggo: Same as before. Just how it is now but with no reprints and the occaional Tom Paterson one when Barry isn't available. Just how it was! Same artists as for Dennis. Just how it is was! :) It was just perfect and I wouldn't change it in any way! :) Art by Diego Jourdan. Just how it is now, but with added beano. So there you have it, my perfect "Beano and Dandy." Why not spend a while coming up with your own. Obviously, this isn't set in stone, and strips could change from time to time because there are many great strips I've missed out (For instance I was toying between Ratz and Meebo and Zuky and in the end went for the later). I hope you've enjoyed reading it just as much as I have making it! I Said I'd Post Some of my Artwork, so Here you Go! Gawsh, it's been a long time, but fear not, I have not forgotten this blog and have a giant blog post on the way soon so look out for that. In the meantime, I said in my welcome message I'd post some of my artwork up on here, so here you go! Well, according to the "Next Week" page of this weeks Dandy, Freddy the Fearless Fly will be making a comeback next issue (He also played a key role in this week's Boo, drawn by Andy Fanton who tends to put cameo's in his work). This means, as long as Dan and Korky still appear, the next Dandy will contain 3, yes 3 characters who appeared in issue 1 published well over 70 years ago. A great thing for nostalgics, but what do you think? Which of the following would you like the majority of this blog to cover? Please recommend this blog to any comic fans you know! Thanks!! ©Jonathan Barham 2011. Simple theme. Powered by Blogger.